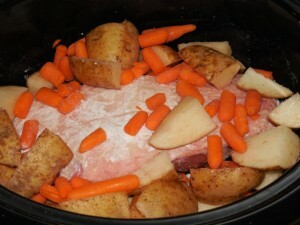 Slow Cooked Pot Roast… super easy. 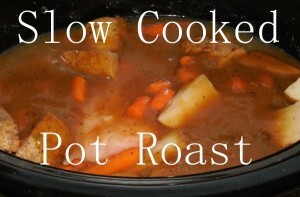 I’ve been using this method of cooking my pot roasts for about 4 years now. 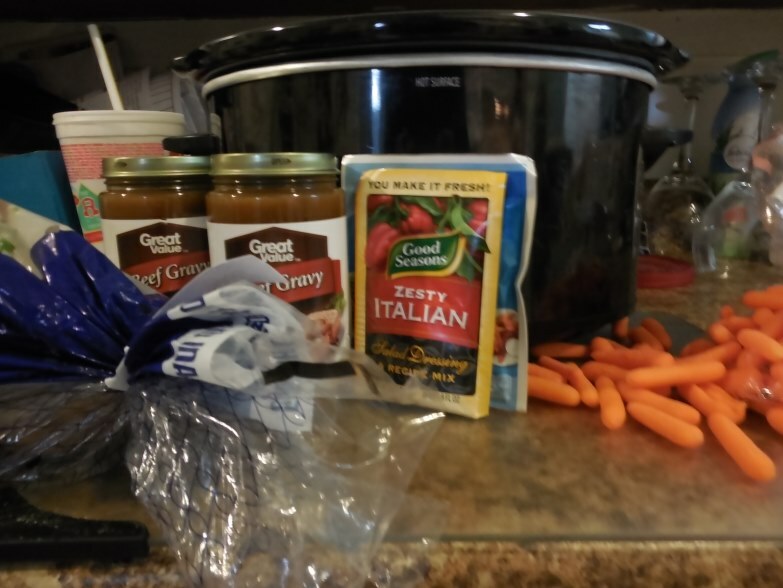 I made one Sunday and figured I’d show you guys how to make this easy pot roast. It takes about 15 minutes to prepare and cooks in around 8 -12 hours. 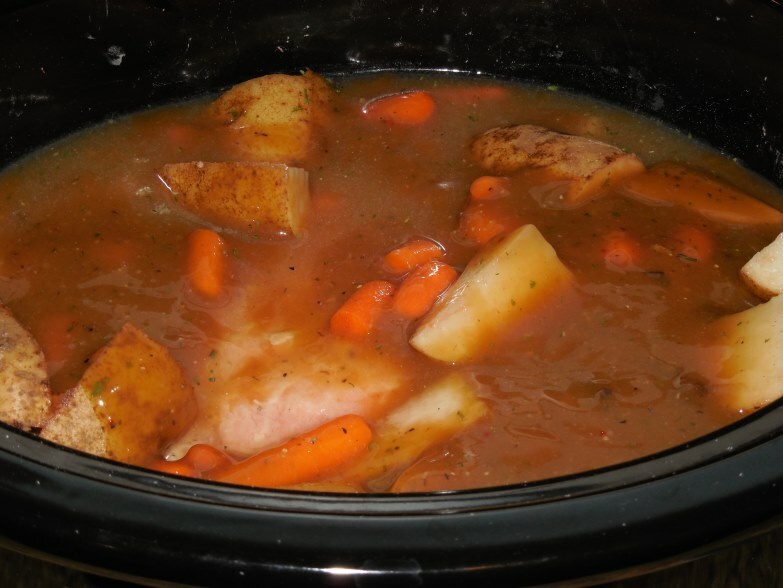 It’s so simple, I’m an awful cook and this pot roast is always a big hit. NO LEFTOVERS kind of good. I’m tellin’ ya, try this one out. 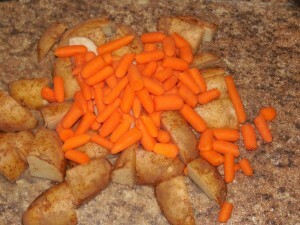 First all you have to do is start cutting up the potatoes and carrots. 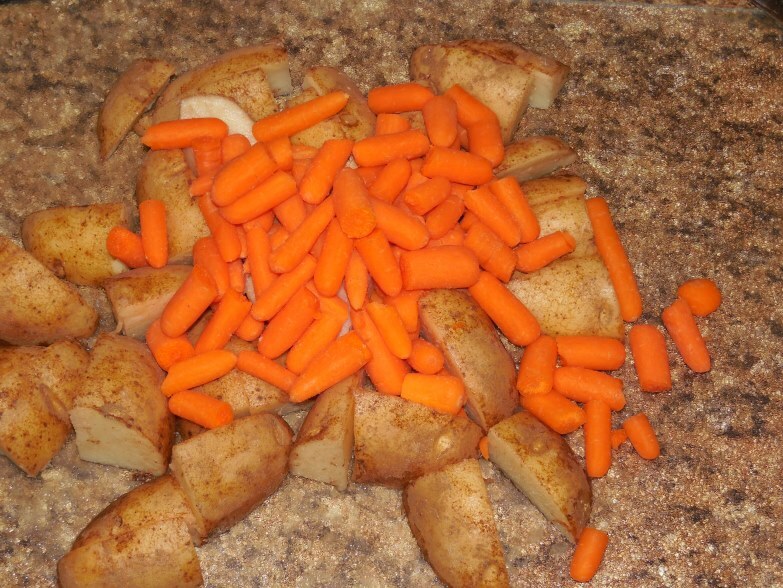 I cut my potatoes into 8 pieces each and just cut the baby carrots in half if they are long. If they’re pretty short, just use them as is. 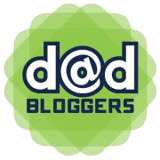 Check the pic. Grab your roast and slap some flour on it. 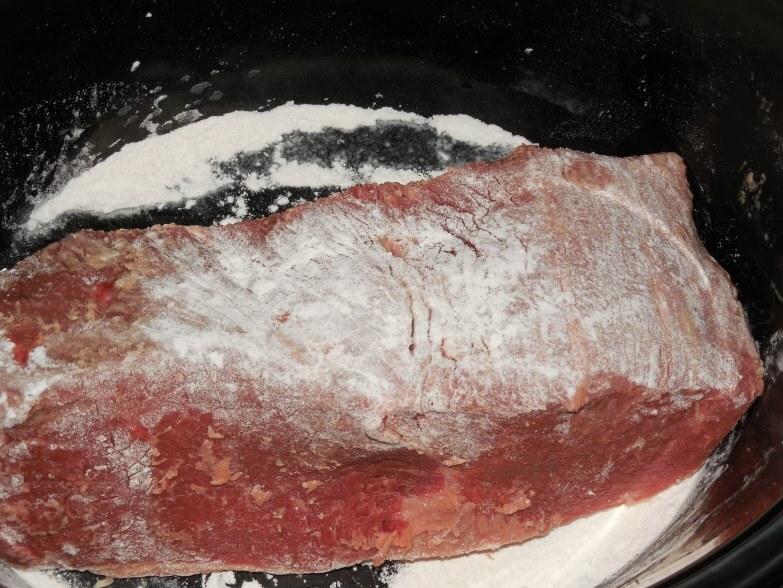 Be sure to rub the flour into the meat really good. The flour will help thicken the gravy. Once you’ve gotten the meat all floured up, just toss it into the slow cooker. Go ahead and throw in those veggies too. 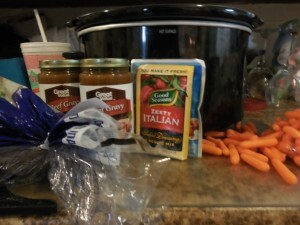 Making the gravy, this is the most time consuming step. Start off by pouring your packets of ranch dressing and Italian dressing into a mixing bowl. 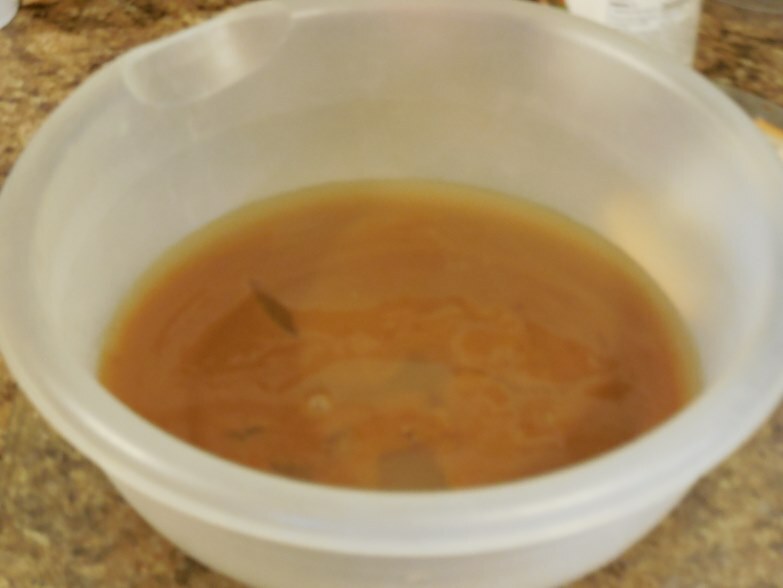 What we need to do now is empty both bottles of beef gravy into the mixing bowl. Once that’s done use one of the empty gravy bottles to add some water. Fill up the whole bottle and pour in the water. 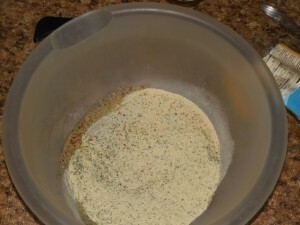 Now, get your onion and garlic powder and sprinkle some into the mixing bowl along with some pepper. Adjust this to your own taste. Just mix this up until all of the powder from the dressing packets is gone. Just grab a wisk and start stirring. 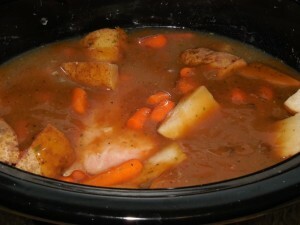 Once you have the gravy mixed up, toss it into the slow cooker with the roast and veggies. Cooking! Now that we have all of our ingredients into our slow cooker. 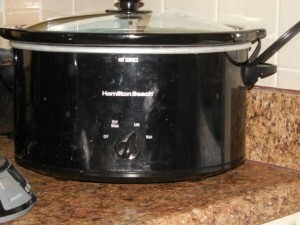 All you have to do is set it on its lowest setting and let it cook for about 8 hours. I’ve cooked them for as long as 16 hours but if you do cook it over 12 or so hours, you’ll want to break the roast apart or it will get very dry. 8 hours seems to be the perfect time for me. Start eating. I’m not going to lie, I tore into this before I remembered to take a final product photo. I apologize for that, but once you make your own, you’ll understand. This is the bomb. My kids absolutely love it, even Sophia. Sophia is the pickiest child in the world. The potatoes, omg, those potatoes. Mmm mmm mmm. I hope you’ve enjoyed reading this and hope you try it out for yourself. Seeya next time. 2 Responses to Slow Cooked Pot Roast… super easy.